With her Notre Dame sociology degree in hand, Sarah Hart ’15 is headed for the business world. When she starts work as a project manager at Epic, a software development company in the health care industry, her major has her set to succeed in a corporate environment. The curriculum Notre Dame sociology majors go through prepares them well for careers in business, said Ann Marie Power, director of undergraduate studies for the Department of Sociology. 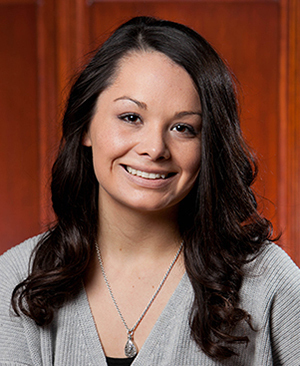 Marissa Rivera ’15 came to Notre Dame planning to major in business, but an Introduction to Social Problems course in her first year piqued her interest in sociology. Majoring in both sociology and accountancy, Rivera said, broadened her perspective and widened her horizons. That perspective paid off for Rivera when she worked at Quicken Loans in Detroit last summer. As part of the internship, students were tasked with working together to brainstorm new ideas for the business. Rivera, who wrote her senior thesis on media coverage of athletes involved in incidents of domestic violence, plans to eventually attend law school and believes her sociology major will be an asset there as well. “I chose the sociology major partly because I’m not exactly sure what kind of law I want to do,” she said. “I felt that if I wanted to go into business law or if I wanted to do something related to people, I would have an edge. Like Rivera, Hart said her research experience in sociology was a key factor in her personal development. At Notre Dame, she spent two years working on the National Study of Youth and Religion research project led by Christian Smith, the William R. Kenan Jr. Professor of Sociology and director of the Center for the Study of Religion and Society. “I did everything from interviews to transcribing to finding participants,” she said. “Even though I hadn’t been on the project from start to finish, I could see the whole process of what they had been doing over the course of the 10-year study. Hart, who also completed a minor in business economics, encourages other students to explore their options and get hands-on experience through research and internships. 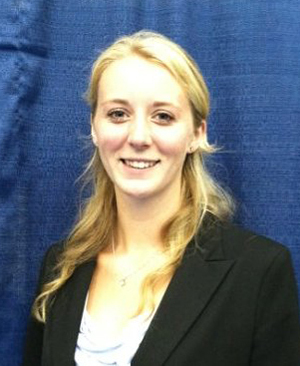 The summer after her junior year, Hart completed a project management internship with National Grid, a utilities company in Boston. Building a career in the business world, Power said, is just one of the diverse paths open to sociology majors. Among the Class of 2013, just 2 percent of sociology majors were still looking for jobs six months after graduation. Recent alumni are pursuing advanced degrees in graduate and professional schools, entering elite service programs, and working as business analysts, consultants, teachers, social workers, and program managers.